I took down our Christmas tree today. As I carefully removed the ornaments and placed each one in their appropriate containers I thought about how special they all are to me. Each one tells a story, even if only a few lines. Memories of special landmarks, vacations, friends - all of them right there in my living room to see and treasure each year. This was handmade by a very dear friend. It's a dried and glittered lime with a little note attached containing an excerpt from Little Women. This is another handmade ornament that I received at my church's annual Ladies Christmas Party last year. We all received an ornament but had to do some investigating before finding out who gave it to us. I was touched that a little child made it but it didn't hold a lot of meaning since I wasn't sure who had made it. Imagine my delight when a close friend of mine approached and said her then three-year-old daughter had made it. 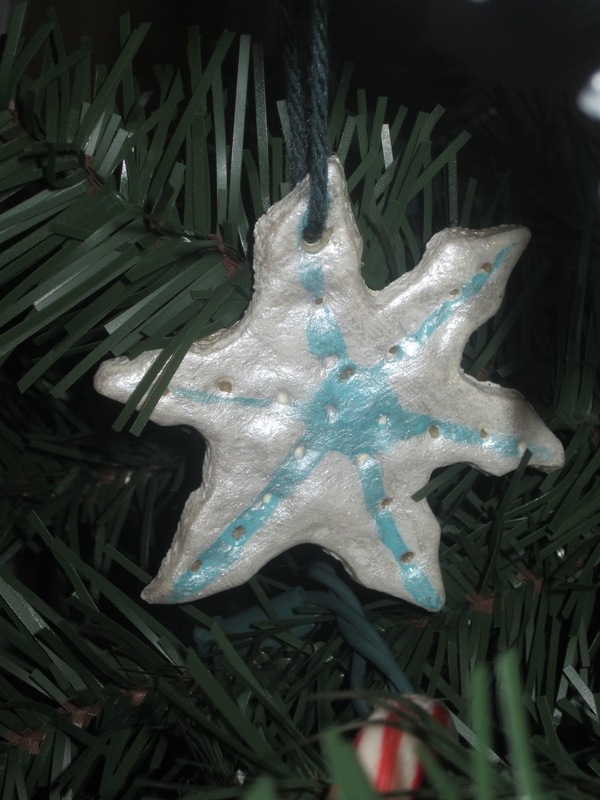 It still makes me smile to see this shimmering snowflake and think of the sweet girl who crafted it for me. Yet another handmade ornament. I made these out of a salt-dough recipe I found on Pinterest. I made close to 150 of them for friends to take home from Evie's memorial service. The rest I sent to family and friends in their Christmas cards. 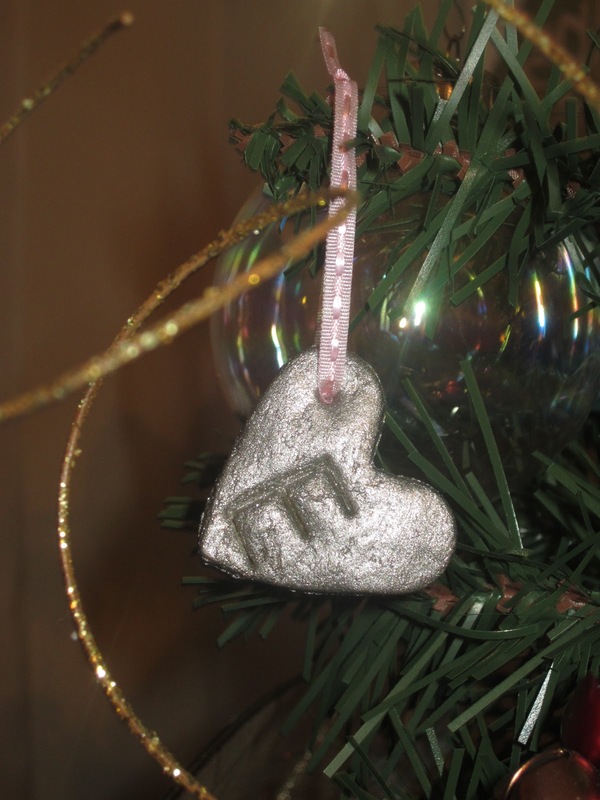 Several people have told me Evie's ornament has a special place on their family's Christmas tree. It makes me so happy to know that she is still loved by so many. these lovely shoes for my sweet girl even knowing that she would never wear them. This ornament is the newest addition to my Christmas collection. It was given to me by a friend of Josh's who has since also become my friend. They used to work together in the hospital and we have kept in touch via Facebook over the last year or so since she moved. The front is beautiful but I love the back. It reads: Apart or together, always close to me. Amanda said she thought of me right away when she saw this ornament. I cried when I opened it but love it so much because it conveys exactly how I feel. This one is from my mom. We were shopping toghether at Michael's Arts and Crafts a few years ago and I happened to see this ornament and just mentioned how cute it was. Wouldn't you know a couple weeks later it was attached to my birthday gift! I just love that because it's my mom in a nutshell - always thinking of me and always on the lookout for a little trinket or treasure that I might like. Another new one. I bought this for my little man who is totally into guitars right now (among other things). When you push a silver button on the bottom it plays a totally rockin version of "Rockin' Around the Christmas Tree." Micah walks around jamming on his evergreen guitar. I love it! From my Joshy. It was my Christmas present back in 2001. We were 16. And yes we have been together for that long. Longer, actually. Maybe one day I'll post our love story. This one is to remember our Rieke family trip to Arizona the summer of 2008 to visit my mother-in-law's family. I had never been out west before and totally loved it. We even went to the Grand Canyon. Good memories. Plain and simple I just think this one is pretty. It's made out of a mirror - isn't that cool? My tree. A scrapbook of sorts. So much has changed since I put it up last year. Looking forward to what 2013 will bring. 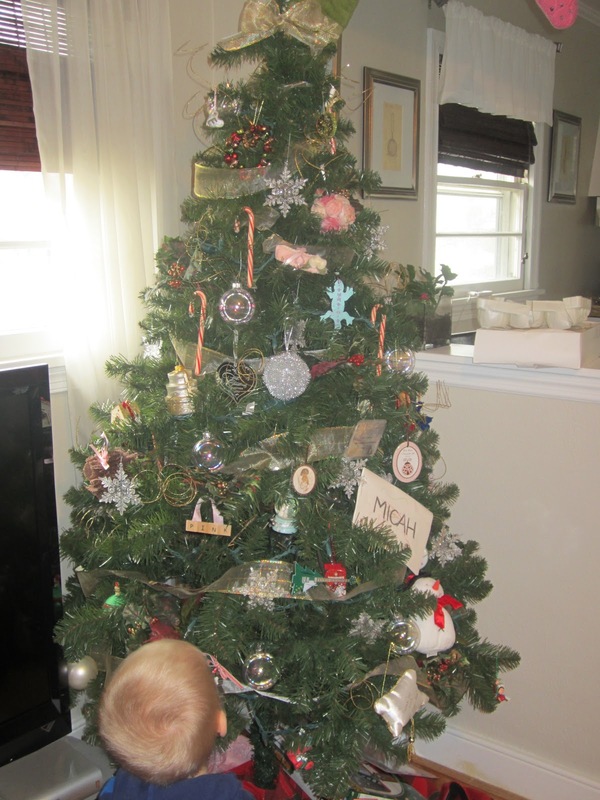 ps - I have to mention that I have always used candy canes to decorate my tree. This year a very curious two-year old could not help but completely rip them apart. I would find him randomly on the floor in a pile of crushed candy canes. When I asked what he was doing he would say, "I bwake it." <3 I love it the ornaments and the stories. I totally love ornaments and all the special meanings they have and the memories they stir up around the holiday season. I've had to stop using candy canes too...now they don't break them, but I can't handle the constant badgering about when or if we will eat them. Lol. I loved that. We have our "E" hanging with its pink ribbon from our tree and I am looking at it right now as I sit at my desk. I have ornaments going back 31 years with Jim, some that my nieces or nephews made of my dogs names on felt with a glitter pen, some from trips we took, or some that remind me of movies we love, like the lamp from :A Christmas Story. My best friend even sent me a mini pac man ornanment years ago because Jim and I were obsessed with it and fell in love over the pacman game. It is a real scrapbook of a life and I love going through each one every year. Thanks for once again, articulating what so many of us are feeling. You are amazing. 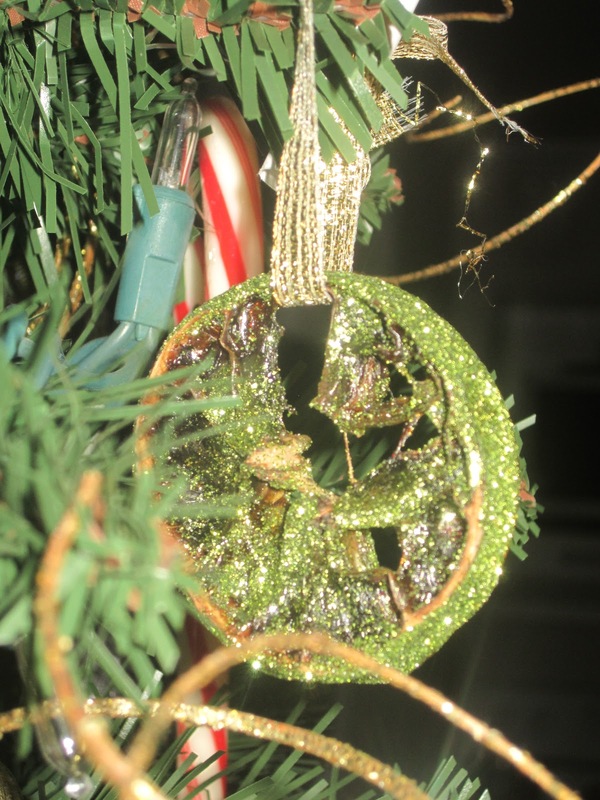 the Willow Tree ornament is perfectly beautiful!